It took me a while to finally do this post. It has always been in my plan to do a blog challenge but never got the chance to do so. I'm always busy, yeah? haha. 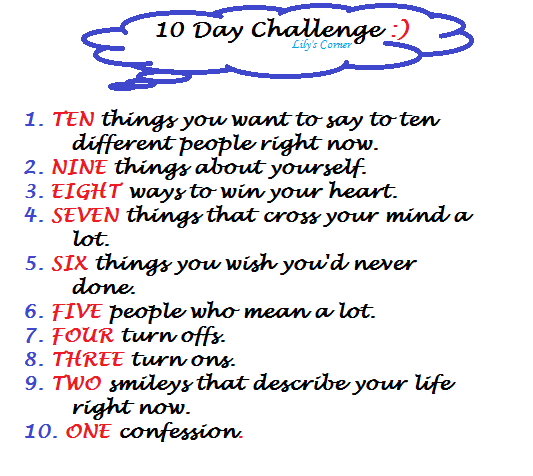 I'm not so sure if I could pull this off so I chose a 10 Day Challenge instead of longer ones. For starters! lols.